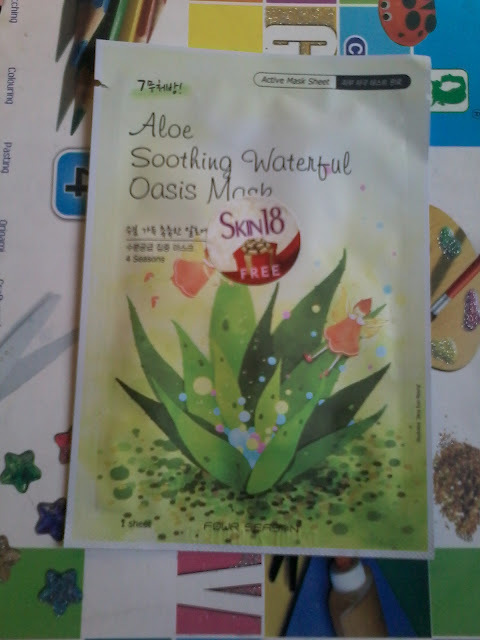 Today I am going to review one more product from Skin18.com , its Aloe Soothing Waterful Oasis Mask . Skin18.com is a Hongkong based website which provides Korean skin care products like sheet masks , ampules , BB creams etc. Its products are made from natural ingredients . One can find wide range of products on its site , all in affordable range . They ship world wide ,so any one from any part of world can place order at their site . They have reward programmes for their customers and some other benefits like Freebies , Free shipping etc. One can browse the site to get more detail . This sheet mask is a type of thick tissue paper with goodness of Aloe Vera moisturiser in it .Its very easy to use this .One just needs to place this on face ( after washing and cleansing their face ) and leave it for 15-20 minutes after which it has to be removed and one needs to massage their face in circular motion so that the moisturiser is completely absorbed in the skin . Water , glycerine , Aloe Extract , fruit extract etc . The product claims to sooth the irritated skin and provide abundant moisturiser to create radiant skin . I have used several skin18 products earlier . My experience with all of them is good . My experience with this product is also good. Its very easy to use and one feels fresh after using it . Makes the skin soft and supple . 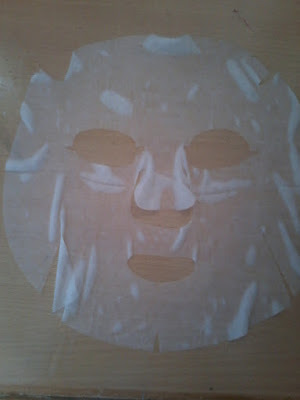 2.Easy to use , no need to rinse off . 5.Makes the skin healthy and moisturized . 6.Sticks to skin and does not falls down . 7.Post application does not requires any moisturizer .